Shanghai’s team is going to help Chinese companies that work on the Russian market to advance their services and production on the Russian segments on the Internet in Russia using Yandex technologies. 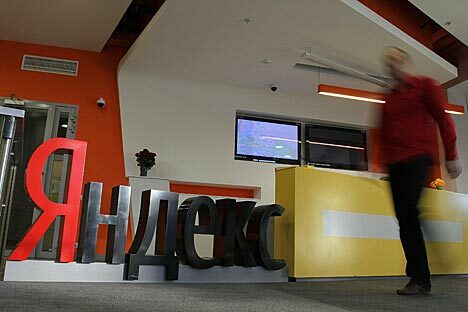 Russian Internet company Yandex opened a commercial office in Shanghai, the company’s press service said Thursday. According to the company’s representative, at the time this is a rented office in a business center with several people, but the stuff will be expanded progressively as the number of tasks increases. Shanghai’s team is going to help Chinese companies that work on the Russian market to advance their services and production on the Russian segments on the Internet in Russia using Yandex technologies. These are the representatives of the economic sectors, interested in broadening sales geography. "Russia is a pretty attractive alternative for such companies due to proximity of its borders and therefore somewhat simplified logistics, as well as the growing demand for Chinese goods online," Yandex press service said. Yandex currently notes a great interest from sellers of consumer goods (clothing, footwear, and accessories), baby products, mobile phones and tablets, personal electronics and gadgets, cosmetics, auto parts, services for booking hotels and flights. Chinese online shopping sites, such as JD.com, LightIntheBox and DHGate are currently working with Yandex on advertising, as well as transport companies (for example, Hainan Airlines), and production companies (ZKTeco). As TASS reported earlier, according to the study of the Yandex.Money payment service, in the summer of 2015 the number of payments by the Russian customers in Chinese online stores through Yandex. Kassa has increased 11-fold year-on-year. According to the study, the Russians showed increased interest in the Chinese online stores before, but this summer it has grown even more. From June through August of 2014 an average customer accounted for 4 online orders, this year — 5. The average payment per user in Moscow in the summer 2015 rose by 22% to 2,900 rubles, in St. Petersburg — by 25% to 2,900 rubles in Krasnoyarsk — 26% to 2,790 rubles. Yandex is a Russia's Internet company that owns the most popular Russian search engine and the internet portal. The net income of the company totaled 17 bln rubles ($284.3 mln) at 2014 year-end. Shareholders include the founder and CEO of the company Arcady Volozh, investment company Baring Vostok Capital Partners and others. The company’s market capitalization amounts to $4.5 bln.